Dinner is my second favourite meal of the day, aside from breakfast. As a student, and especially with your varying schedule, it can be hard to find the time to cook a hearty meal. But this time you have the best of both! Quick meals, but they look pretty impressive too. Sometimes you want something lighter for dinner, but just as filling. 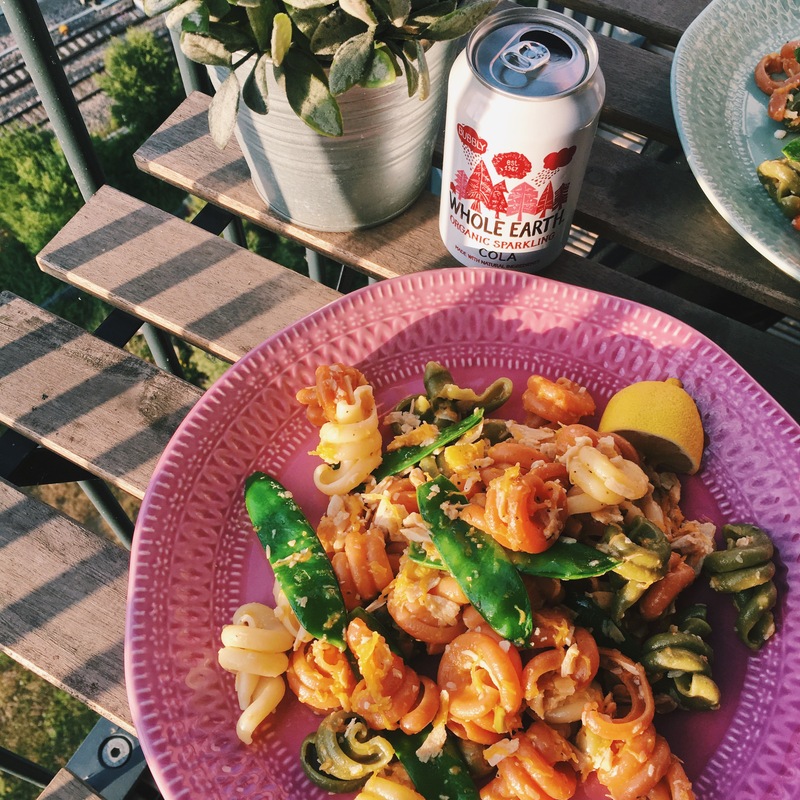 This is my favourite dish for that sort of mood, but it can also work just as well for lunch or even as a side salad when you and your flatmates attempt a BBQ on a nice sunny day. This serving means you’ll have some left over too! Place the orzo into a pan with water and bring to the boil, lightly season. While this is cooking, chop up the cherry tomatoes, orange pepper, cucumber and avocado to your desired shape. Once your vegetables are chopped, lightly roast your cashew nuts in a non-stick pan for a few minutes, agitating them so they don’t burn. 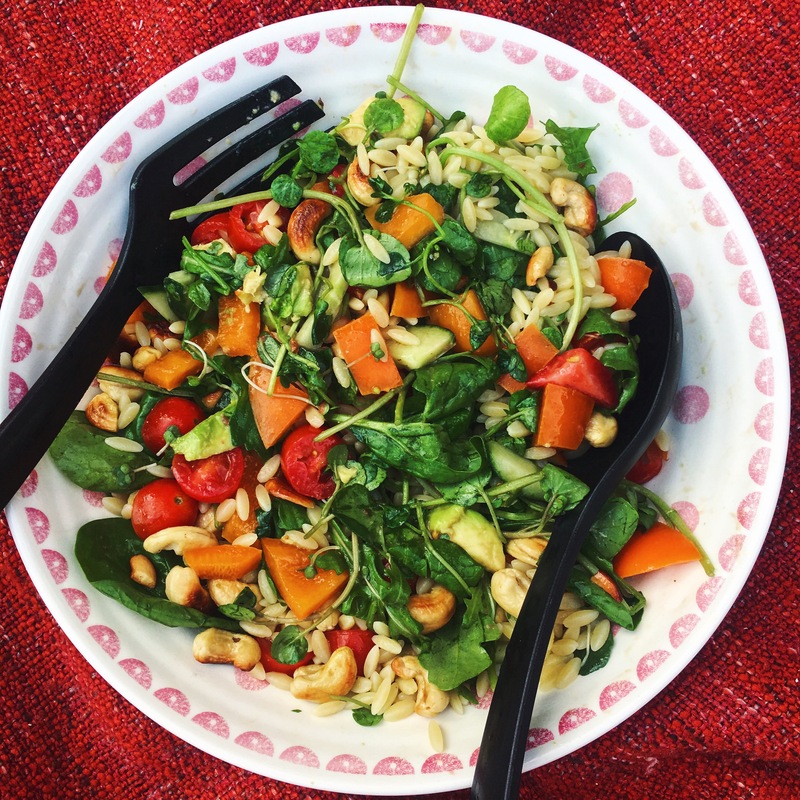 Once the orzo is cooked, drain and mix together with the chopped vegetables, washed salad mix and cashew nuts. Serve with a salad dressing (or simply some olive oil) if you fancy! Chop the onion and leeks and fry in olive oil with a dash of garlic powder (or fresh garlic, if you prefer) and a sprinkle of cumin seeds. While these are cooking, and if you aren’t getting too hungry by the smell…bring the quinoa to the boil according to the instructions, adding the stock cube for some extra flavour. Chop the salad tomatoes and yellow pepper and add to the pan for a few minutes. Then add the tin of chopped tomatoes, the kidney beans, and the butter beans. Simmer the mixture and add the rest of your spices to taste. Once it has been simmering for 25 minutes, drain the quinoa and serve your chilli with some fresh parsley. Nothing beats a fresh and quick big plate of pasta for when you are really really hungry. This one is really simple to make, so no excuses if you have limited kitchen skills to stop you having a tasty dinner. With this portion, you’ll have some left over to package into a lunch-box too! 3 cups of meat-substitute, or real meat if you prefer! Sometimes you are just really in the mood for a stir fry. 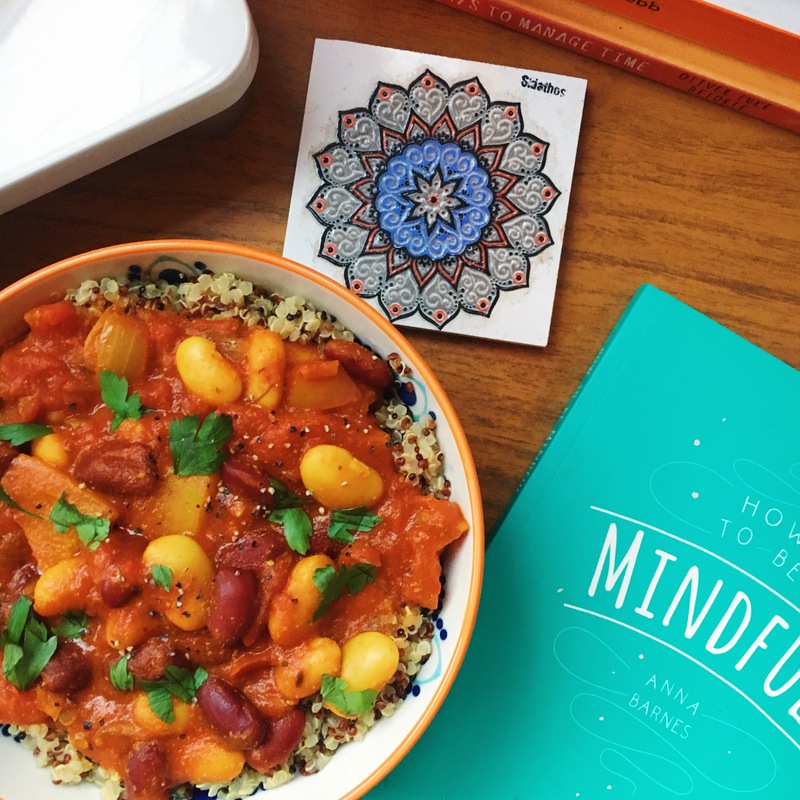 When creating this meal it was rather spontaneous, and I just grabbed some extras from the shop to make it work, as well as using what vegetables I already had in the fridge. It had a big kick of flavour too! You’ll have some left over to chuck in a lunch box, or to share. This is such a super quick recipe and is great if you are really hungry and don’t want to spend a while in the kitchen. Start off by frying tofu in a pan with a little oil for a few minutes, then add your pepper and corn for a further few minutes. Start boiling the fresh or frozen broccoli in a separate pan. When the vegetables and tofu are cooked, add your black bean sauce (and if you can made it homemade, even better) and stir, turning the heat into a simmer. Once the sauce has been heated, start to add your noodles into the pan. 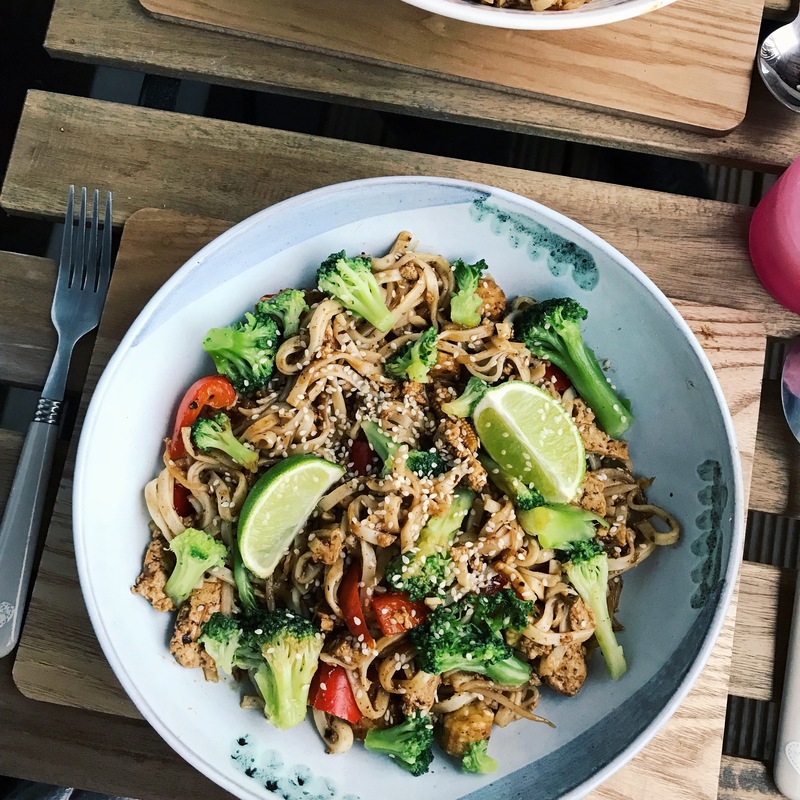 When everything is heated up, serve into a dish and top with broccoli, sesame seeds and lime juice, with extra limes to serve. If you have any more ideas for simple student meals, let me know in the comments!